Haarlem is well known in the Netherlands for its wide choice of excellent restaurants, cosy cafe’s and lively bars, and is really making a name for itself in gastronomic circles. Almost every week, there seems to be a food-related festival such as the great Haarlem Culinair to smaller slow food or street food festivals, like Proefpark Haarlem. 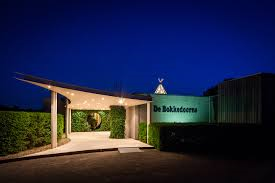 There are also several Michelin-starred restaurants in the surrounding areas of Haarlem, for instance the fabulous De Bokkedoorns in Overveen and De Vrienden van Jakob on the Duin & Kruidberg estate in Santpoort. Also dotted around the city are stellar restaurants, cosy cafes and trendy bars. The ever-popular Loetje in Overveen (just outside of Haarlem) is the place to go with your granny, your kids, your boss or just about anyone except for a romantic date. The specialty is steak and chips – which are really tasty! On warmer days you can sit on the terrace outside. A lively French-styled brasserie in the heart of Haarlem, Café Colette serves French classics like escargots, onion soup gratinée, duck legs and of course crème brulée. They also have enough vegetarian choices like Melanzana or Ravioli. Slightly on the pricy side though. We’re working on bringing you the best restaurant, cafe and bar news from Haarlem… As you can see from this list , there are a lot to work through! For more restaurant reviews, we recommend you check out the latest TripAdvisor reviews.